A court in north India has sentenced 13 factory workers to life imprisonment for taking part in violence at the country's largest automobile factory that led to the death of a manager nearly five years ago. Four other workers were sentenced to five years in prison for the rioting that broke out at the Maruti Suzuki manufacturing unit in Manesar in Haryana state in July 2012 following a dispute between workers and management at the factory. The subsidiary of Japan's Suzuki Motor Corp. operates two factories in India. A day after the violence erupted, the body of human resources manager Awanish Kumar Dev was found badly charred in a conference room. Dozens of managers and executives were also injured with several suffering broken bones, the company had said at the time. According to the company, the unrest erupted when a worker beat up a supervisor and the workers union prevented management from disciplining the worker and blocked exit gates. 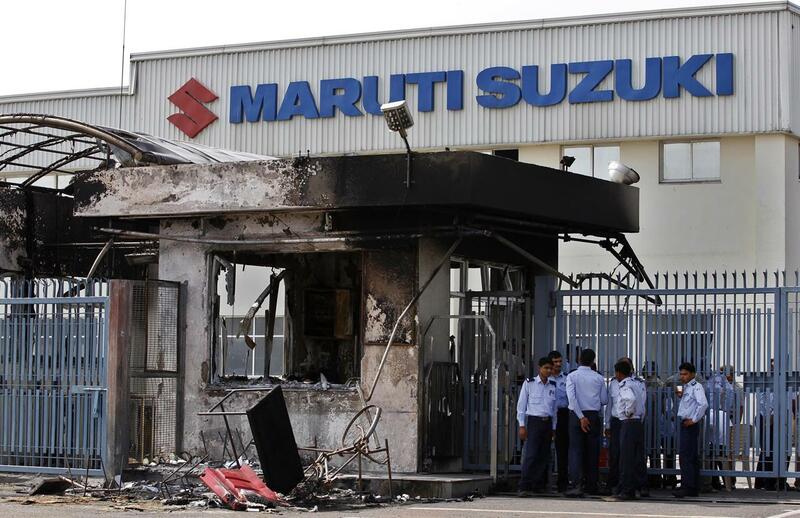 The Maruti Suzuki Workers Union said a supervisor had abused and made discriminatory comments to a low-caste worker, leading to the violence. The court on Saturday also fined 14 other workers accused of rioting and vandalism at the factory. Defense and prosecution lawyers said they would appeal the verdict in a higher court. "There is no evidence to link these workers to the murder. We hope for justice in the superior court," Vrinda Grover, a defense lawyer, told the Indian Express newspaper.